For more than 80 years the Law Council of Australia has worked in the interests of Australia's lawyers and the Australian community. The Law Council of was created in 1933 as the peak national body representing the legal profession. Existing state and territory legal professions recognised the need for a united front on a national level that could represent their interests to the Federal Government. They also recognised the value in having a national body which could add its weight in support of the state and territory representative organisations on issues of concern to them. 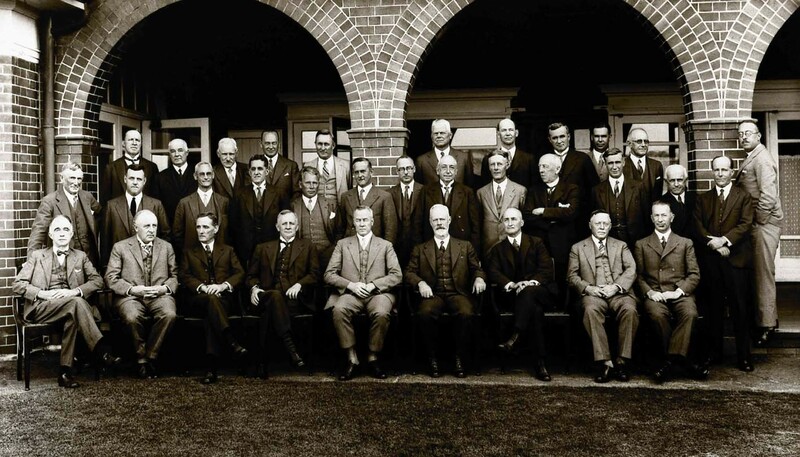 At the first ever conference of Australian Legal Societies, held in April 1933, a constitution was drawn up for the formation of the Law Council of Australia - and the nation's peak legal body was born. The Law Council held its first official meeting in March 1934. The creation of the Law Council was the culmination of years of discussion and debate. In 1911, the Law Institute of Victoria (LIV) invited legal bodies from across Australia to gather in Melbourne to discuss the establishment of a "Federal Legal Council". However, the meeting did not take place. Two years later, the LIV again raised the matter and a draft constitution was prepared and approved by the Law Institute of New South Wales. However, it was opposed by the Law Society of South Australia, the Queensland Law Society and the Northern and Southern Law Societies in Tasmania. The notion of a national representative body lay dorment but, over the following years, the concept was raised by various law societies around the country. It wasn't placed firmly back on the agenda, until the Law Society of South Australia stepped into action in 1932 by the passage of Commonwealth legislation amending the Invalid and Old Age Pension Act. The Law Society of South Australia said an affiliation of bodies was necessary so that "at any moment" and "without delay" the whole profession throughout the Commonwealth could present a united front when vital questions arose.